Both for collection from Stratford E15 evenings and weekends. Please do a dibs and follow with a pm, I'll do a forum donation once sale(s) complete. Paintwork is fairly scratchy in places from being locked etc up over the years. 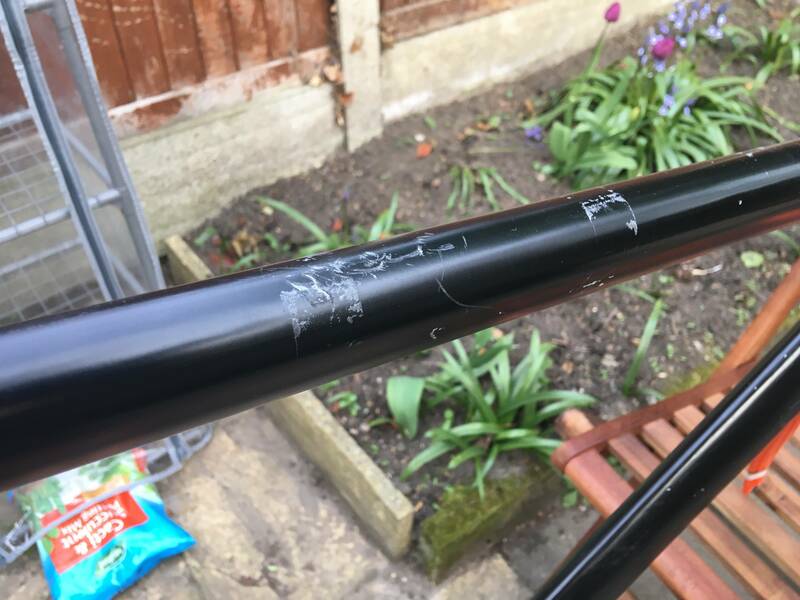 There's some deep scratches on top tube from where some poobag tried to nick it. Forks are in better condition with only one or two little scratches. 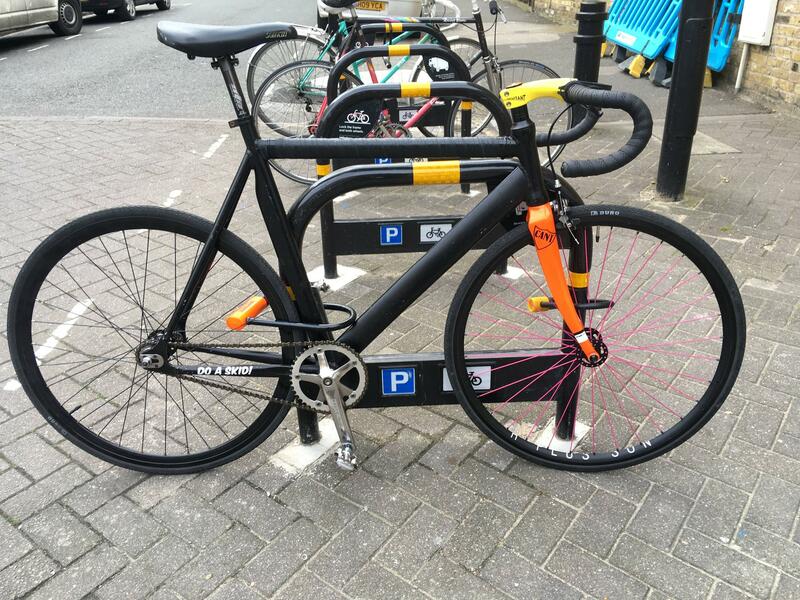 Note: I can't get the bottom bracket out because I am too weak, so that is also included - it spins fine. I was assured that it is removable last time it was serviced. 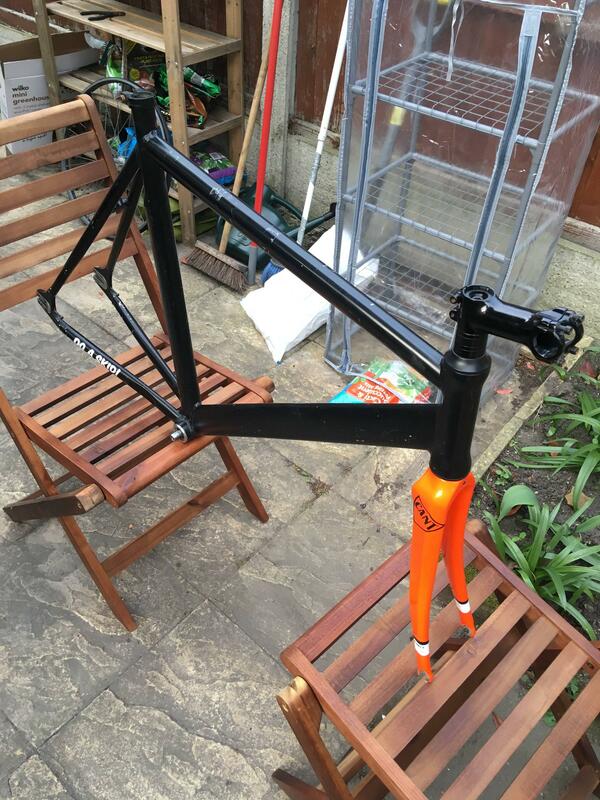 Frame: Carbolite rad orange pearlescent paintwork. Paintwork isn't great in places but nothing too awful given its age. Height: 60 cm c-t. Top tube: 58 cm c-c. 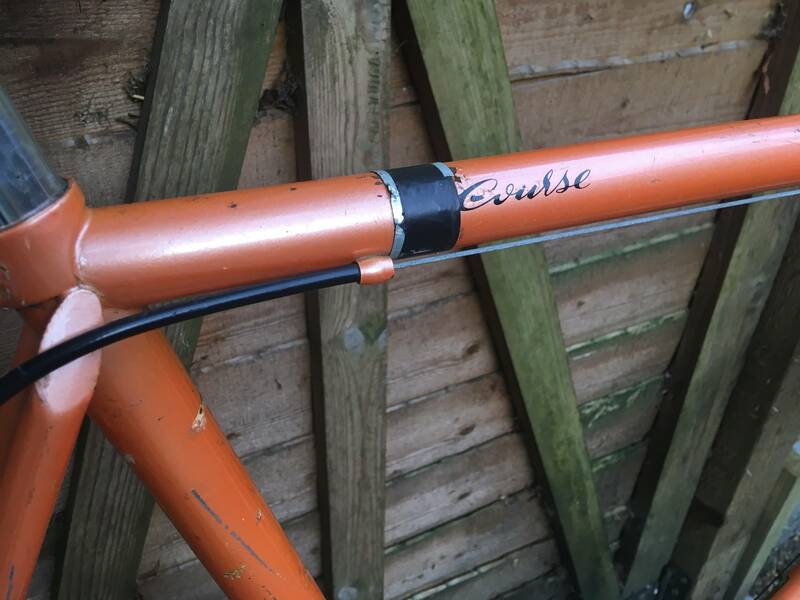 When I bought it a few years ago I didn't realise the black tape on the top tube was concealing a bit of surface rust. This hasn't got worse since. 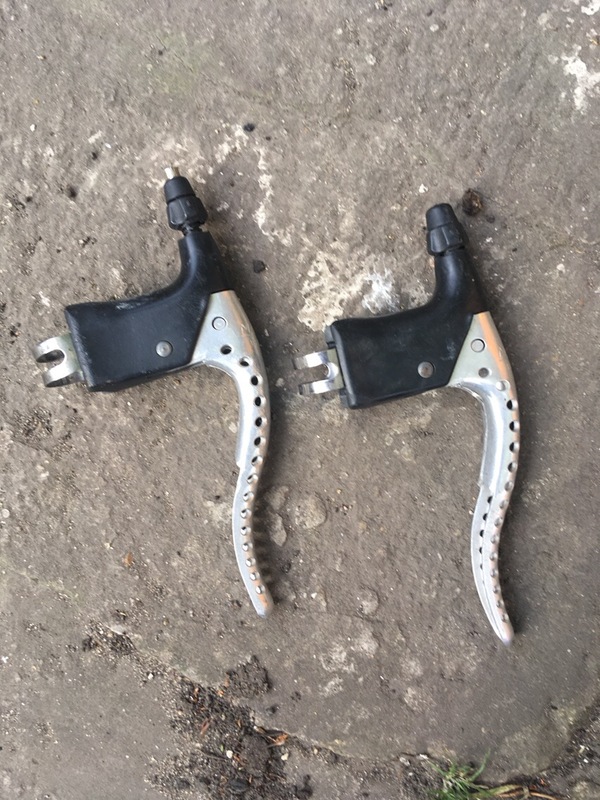 mafac brake levers included with Peugeot. Second dibs on the VISP. 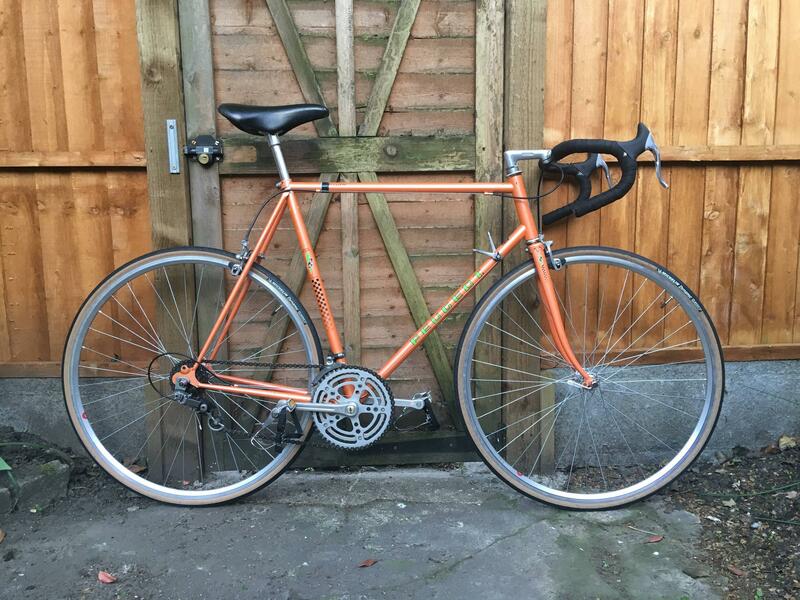 Undibs on the Visp, and bump for a bargain!